Stuttgart - The ethnographic thriller 'Loctat Lairembee - Lady of the Lake' by Haobam Paban Kumar was awarded the German Star of India in the feature film category on Sunday at the close of the 14th Stuttgart Indian Film Festival at the Metropol Kino. 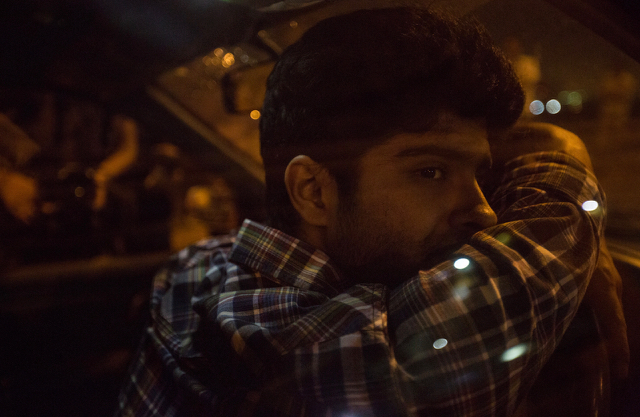 The German Star of India in the short film category goes to 'Azaad' by Rahul V. Chittella. Bernd Lützeler's "Camera Threat" gets an honourable mention. 'The Cinema Travelers' by Shirley Abraham and Amit Madheshiya was awarded the German Star of India in the documentary category. The Drama 'An Billion Colour Story' by Padmakumar Narasimhamurthy won the Director's Vision Award. Prizes totaling €7,000 were awarded across all the categories and 5,000 visitors came from all corners of the world to attend the 5- day festival. More than 40 current film productions from all over India gave a unique insight into modern Indian cinema. The main focus was on election campaigns in India and stories about strong women. Festival director Oliver Mahn welcomed numerous filmgoers from India to the regional capital of Baden-Württemberg, including Sumira Roy ('Last days', Last Shot'), Mohan Agashe ('Kaasav - Turtle'), Madhura Dalimbkar ('The Red One'), Dev Benegal ('Road, Movie', MFG Masterclass and jury member), Vinod Kapri (Director of 'Pihu'), Mangesh Joshi (Director of 'Lathe Joshi') and the two directors Varun Trikha ('The Wall') and Shubhashish Bhutiani 'Mukti Bhawan - Hotel Salvation'. French actor Simon Frenay, who plays a leading role in 'Shab - The Night' of Onir, travelled from Paris to be in attendance. 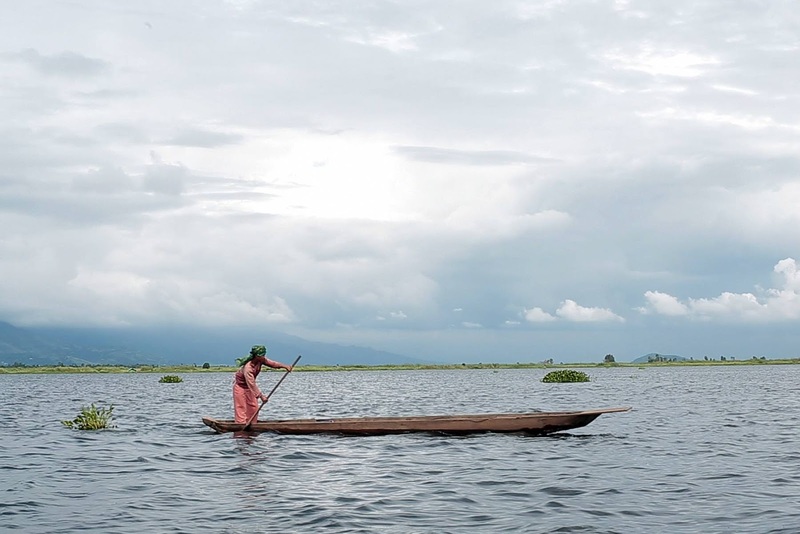 The big winner of the festival is 'Loktak Lairembee - Lady of the Lake' by Haobam Paban Kumar. The German Star of India, sponsored by the main sponsor of the festival, honourary consul Andreas Lapp, is the winner of the ‘German Star of India’, which comes with a prize of €4,000. In the jury’s view, it offers "an unflinching view of the convention of the cinema" and simultaneously tells a story that is relevant to our time. Kumar's feature film debut was filmed exclusively with amateur actors around Loktak Lake in northern India. In this scenic paradise, extreme beauty meets extreme violence. Might is right. The jury felt that, "the team of film makers carve out a subtle, poetic and even hypnotic way into a world between dream and reality, where issues such as expulsion, human rights and conflicts that arise in our home, our world and our environment are portrayed in this film with great integrity and honesty." 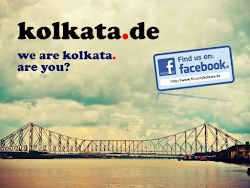 Director Haobam Paban Kumar has a degree in directing and writing from the Satyajit Ray Film and Television Institute Kolkata. He first entered the spotlight with his film 'AFSPA, 1958' (2006), with which he won the International Jury and FIPRESCI Award at the 9th Mumbai International Film Festival 2006. Many of his other films, such as 'A Cry in the Dark' (2006), 'The First Leap' (2008), 'Mr India' (2009), 'Ruptured Spring' (2012), were awarded prizes. 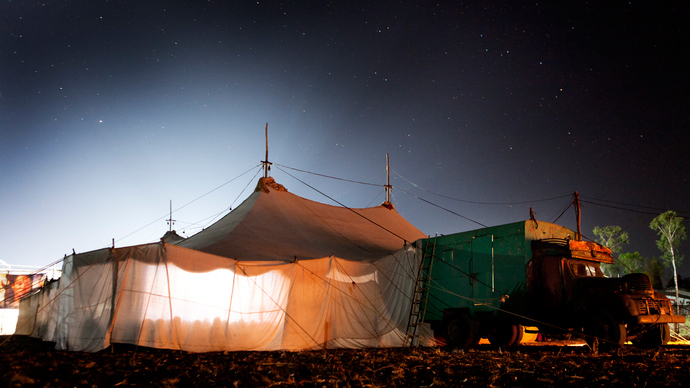 The documentary ‘Cinema Travelers' by Shirley Abraham and Amit Madheshiya managed to win the jury over. Its two directors received the award, as well as a cheque for €1,000, and describe "the powerful appeal of the cinema in a delightful way - and how digitalisation is slowly becoming more and more popular, which is a rather painful process for some," according to the jury. Filmed deep in the Indian countryside, the film shows how much cinema fascinates the rural population, and how the moving pictures seem to cast a spell over the people. The film projector itself appears more and more like a living being and the viewer develops empathy with the dying art of the traveling cinema. Fortunately, the film is not laden with nostalgia, because it also shows that the purchase of a digital projector gives new hope to the traveling moviegoers to continue their enjoyment. The jury added, "the film is taking a step forward with the advancing digitalisation of a universally debated topic, which is slowly altering many aspects of our society – some good, some bad - and leaves us with the memory of the times gone by." A special mention was given to Bernd Lützler’s ‘Camera Threat’. This documentary is a playful dialogue between analogue and digital film material, actors and director on a casting couch. The film was quirky, perceptive and original. The Drama 'A Billion Colour Story' by Padmakumar Narasimhamurthy won the Director's Vision Award. "The festival stands for freedom of expression and diversity," said Oliver Mahn. The art secretary for Baden-Württemberg's Petra Olschowski gave her assurance that she would continue to work for the country's financial support for the festival. Olschowski emphasised that Baden-Württemberg is supporting the Indian Filmfestival Stuttgart for the first time financially. 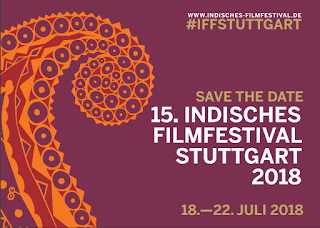 Both Dr. Birgit Schneider-Bönninger from Stuttgart and honourary consul Andreas Lapp are looking to 2018 when Stuttgart and Mumbai celebrate the 50th anniversary of their city partnership and the 15th Stuttgart Indian Film Festival. Lapp has promised that "there will be a big party!" The Robert Bosch Foundation sponsored both the sold-out School Day and the daily 'Tea Talks'. ‘Half Ticket’ was a film for the whole family, whose narration was performed live by the actress Juliane Bacher from Stuttgart. Supporting the programme was a visit by Miss India Holland Sushmita Singh, Derrick Linco and the Bombay Dance Club performing on the red carpet, the performances of the 'Bollywood Greek' Sakis Tsapakidis from Gerlingen, the live concert with the Indian musician Jayalakshmi Sekhar, Markus Vetter with his shrill 3radDisko, as well as the tasting of tea and red wine from India. 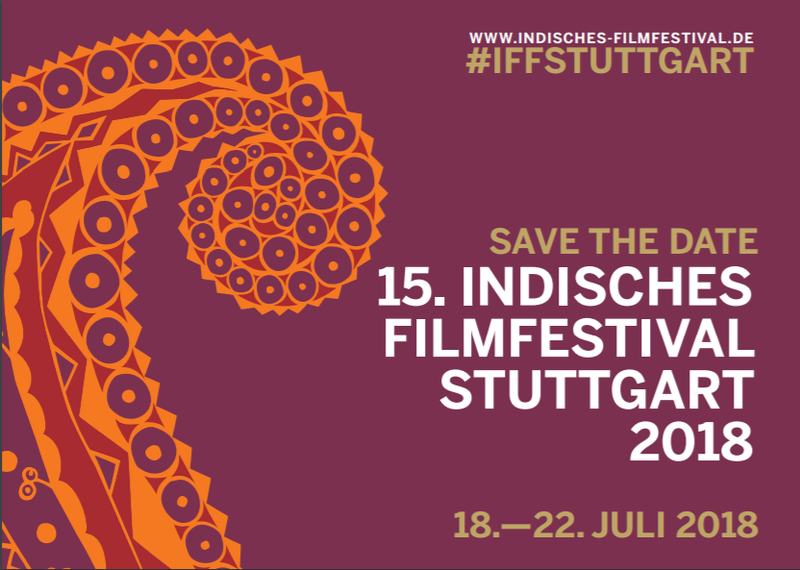 The 15th Stuttgart Indian Film Festival will take place from 18th – 22nd July 2018.